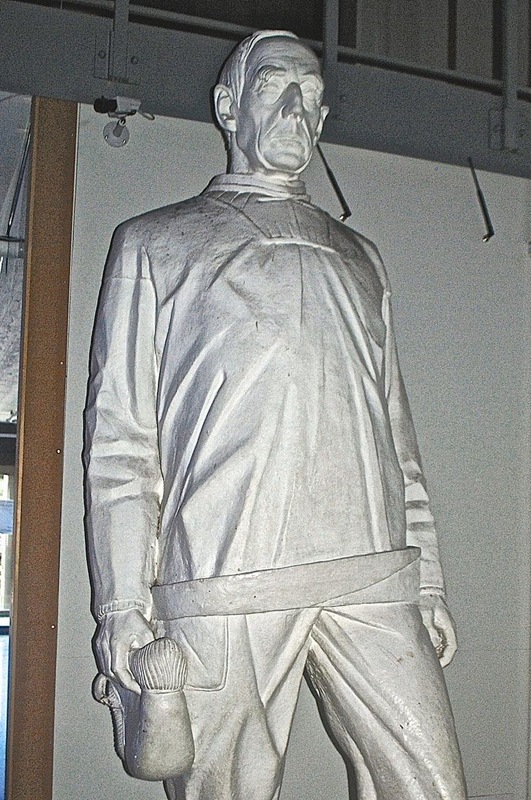 Recently, I wrote about my experiences in the Antarctic and the sub-Arctic, calculating the latitudinal extremes I had traveled in my lifetime – probably putting me in the one percent in a sense, but not nearly so great as Norway’s Roald Amundsen (pictured above), the daring leader of the first party to reach the South Pole, in 1911. 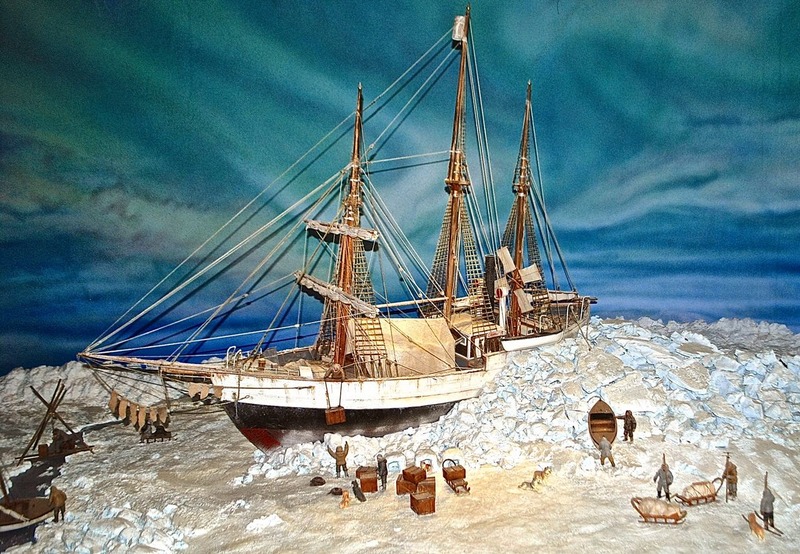 In fact, I’m pretty sure I’ll never get so far as Amundsen’s Fram (pictured below in an Antarctic diorama), the wooden ship which probably reached farther north (85°57') and farther south (78°41') than any other vessel of its kind. Ironically, Fram (“Forward” in Norwegian, pictured below in a museum diorama) was built of tropical hardwoods from South America. Nearly three decades ago, during a year in the Falkland Islands on a Fulbright-Hays grant, I spent much of the winter with documents from the local government archives, to which I had unparalleled access – honorary archivist Sydney Miller would just loan me the key, and I could peruse volumes of official correspondence at home at my leisure. 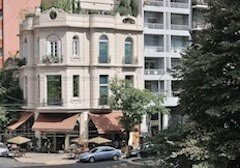 Just about anywhere else in the world, that would be considered highly irregular, and access today is not nearly so liberal. That wasn’t my only reading material on long winter nights, though – the Islands’ capital of Stanley also had a small but admirable public library that provided plenty of background material and a specialist collection of books on local and regional history, including Antarctica. There I borrowed Roland Huntford’s The Last Place on Earth, a comparative account of Antarctic polar expeditions by Amundsen and the famous Englishman Robert Falcon Scott. Huntford's was the first book to really arouse my interest in the white continent. Before reading Huntford, I barely knew Amundsen’s name, even though he reached the South Pole before Scott and, unlike Scott, Amundsen made it back alive. Huntford brilliantly contrasted Amundsen’s meticulous preparation and detailed planning with Scott’s reckless improvisation. This was a controversial book that enraged Scott’s admirers in England, who considered him a tragic hero, while Huntford painted him as a disorganized romantic fortunate to reach the Pole - let alone expect to get his crew back safely. Amundsen, in contrast to Scott, served a long Arctic apprenticeship under his countryman Fridtjof Nansen, and also spent winters living with the Canadian Inuit before tackling the Northwest Passage (n.b. : the “London” cited in the next to last link is in Ontario, Canada, rather than England). Amundsen was a skilled cross-country skier, traversing Antarctica more easily and rapidly than Scott’s inefficient man-hauling, and also made ample use of dogs. Nansen and Amundsen considered man-hauling “futile toil” that burned valuable calories and probably contributed to Scott’s failure. An aside: on his way south Amundsen, who had disguised his departure for the south because he did not want to alert other explorers, nearly ran out of money in Buenos Aires: “The Fram Expedition was apparently not very popular at that time, and our cash balance amounted to about forty pesos (£3 10s)…” With help from Norwegian immigrant and diplomat Pedro Christophersen, he managed to arrange delivery of fuel and other supplies – perhaps suggesting that Amundsen was not quite so well-organized as Huntford insists. 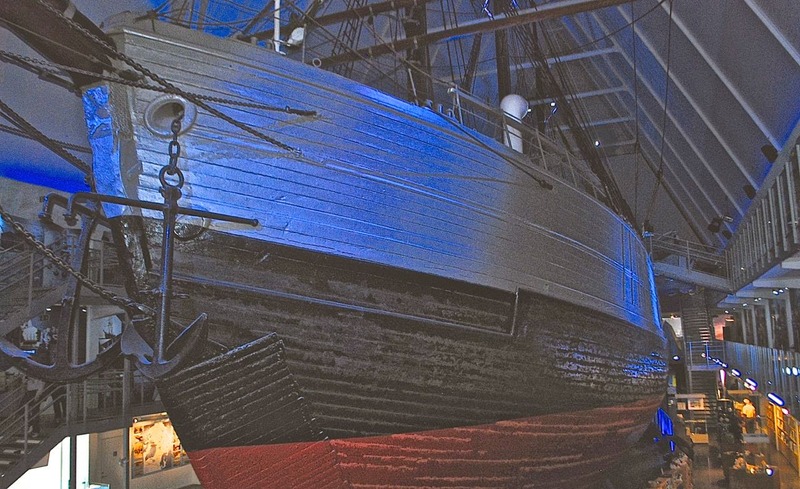 On my recent trip to Scandinavia, I had the pleasure to visit Oslo’s Frammuseet (website in English), which preserves the vessel built for Nansen’s Arctic expedition of 1983-96 and used for Amundsen’s Antarctic effort (1910-1912, when they wintered aboard). 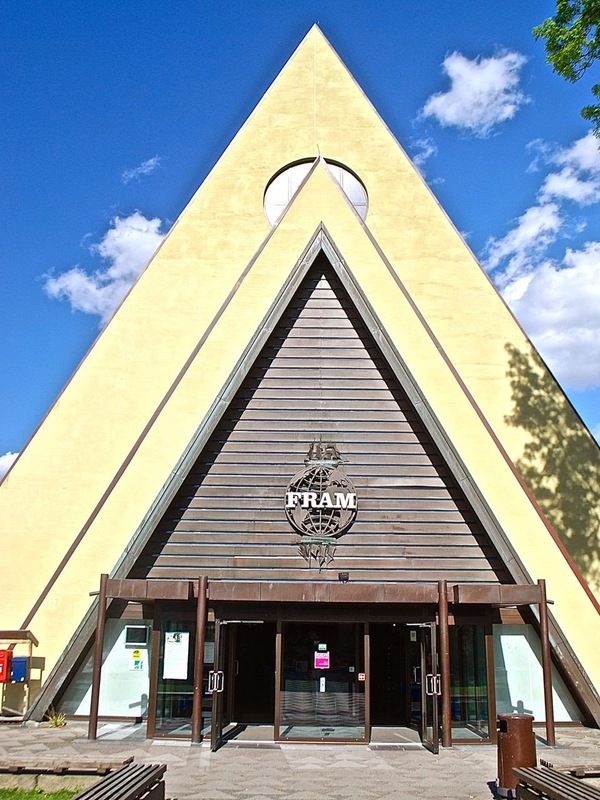 Now enclosed in a protective building, at the peninsula of Bygdøy, Fram actually allows visitors to board and explore her – not comparable to reaching the South Pole, obviously, but enough to help imagine what it might have been like to spend an Antarctic winter aboard. 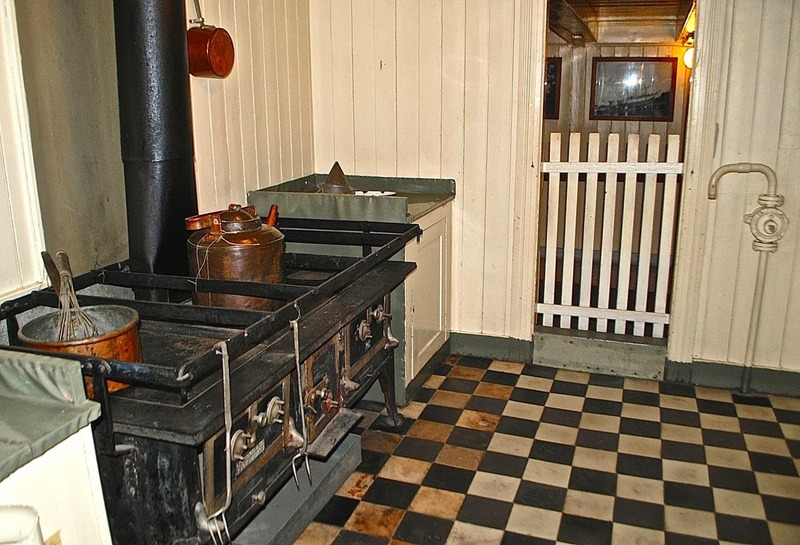 That said, Fram was more spacious than I expected, as the photograph of the kitchen below might suggest. Still, spending an entire winter in close quarters with 18 other men in Antarctica’s total darkness must have been a challenge. The museum website also shows a cautionary statement from Amundsen, perhaps directed at Scott: "Victory awaits him, who has everything in order - luck we call it. Defeat is definitely due for him, who has neglected to take the necessary precautions - bad luck we call it." That might also serve as a warning in the current climate crisis.